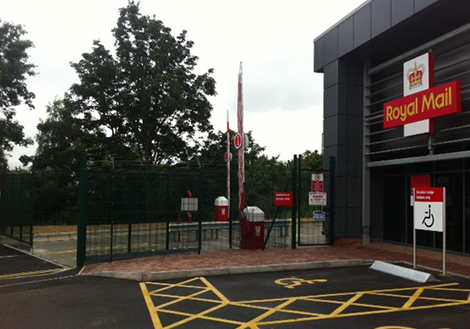 Testimonial Received from: Stagecoach UK Bus. 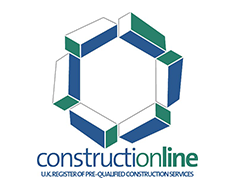 Construction Dept. 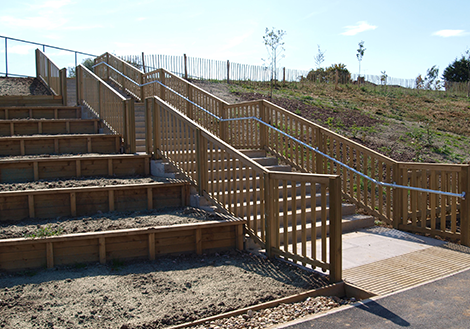 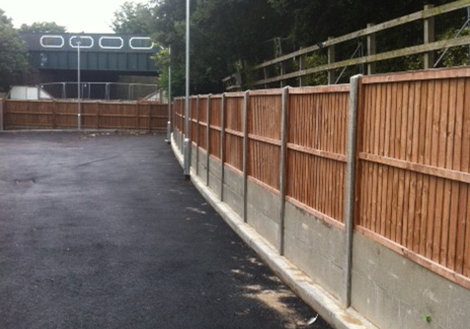 Stagecoach worked closely with Pembury in the design and consultation stages of our Swindon project. 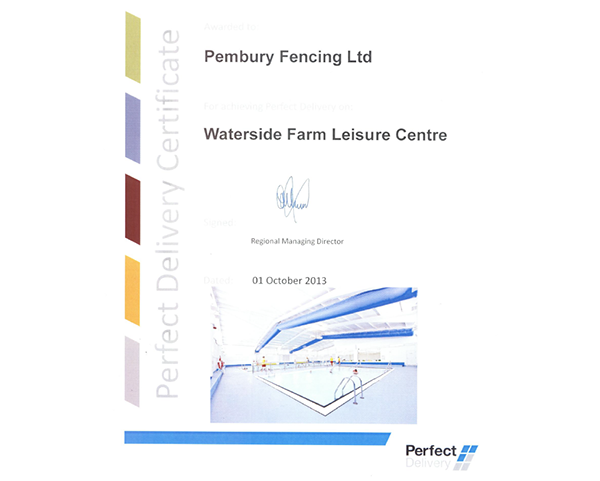 Pembury assisted us with costing and information on various acoustic solutions. 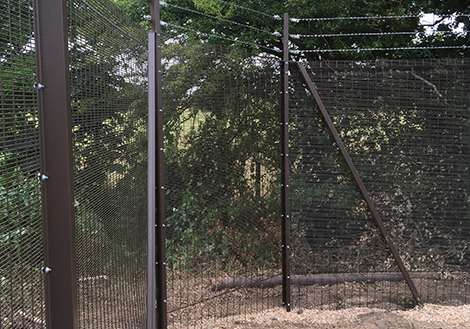 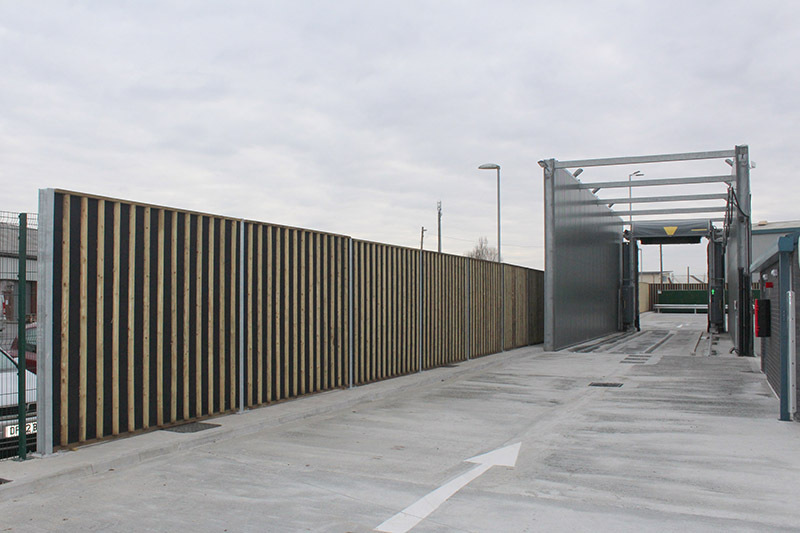 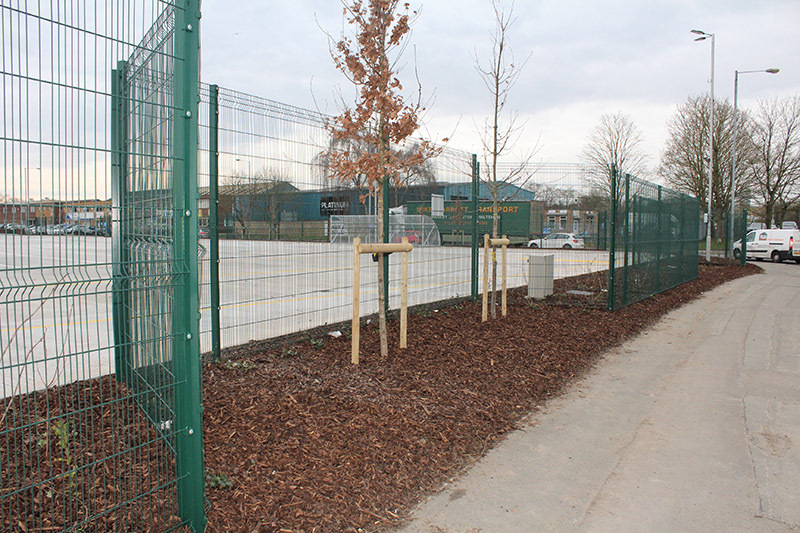 Once this stage was completed, Pembury Fencing then successfully installed a quality end product including the 2.4m high Perimeter Security Welded Mesh boundary fence and the Acoustic fence around our new Bus Wash Facility. 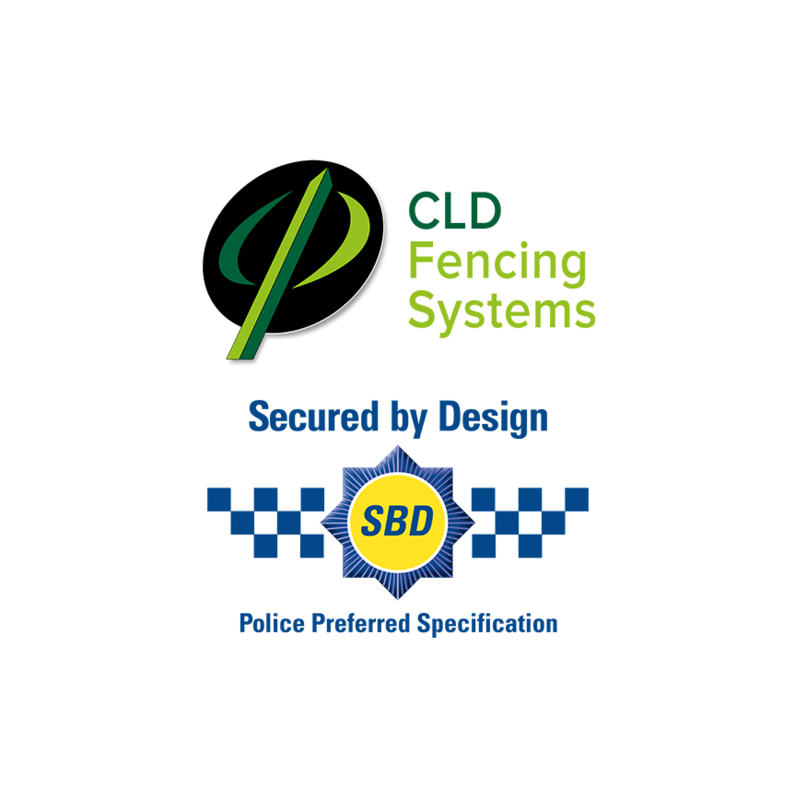 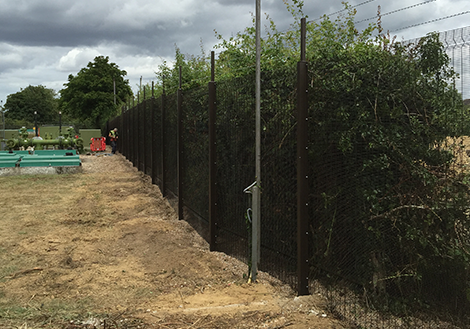 The work was completed on time and we would have no hesitation in recommending Pembury Fencing Ltd for similar projects. 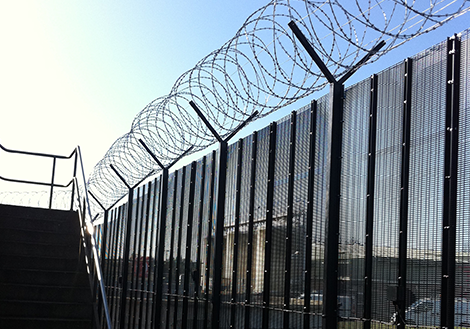 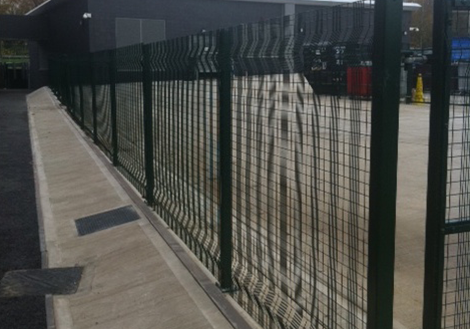 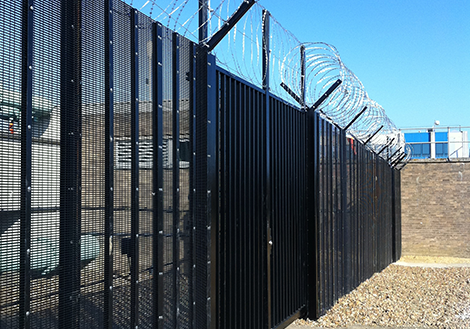 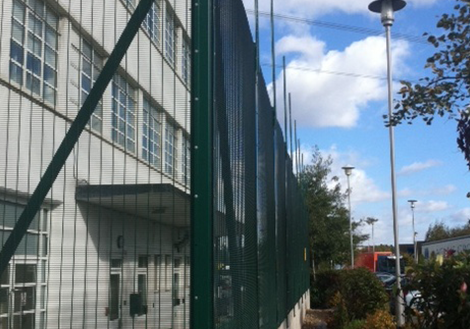 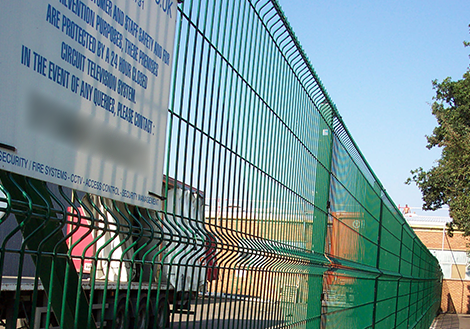 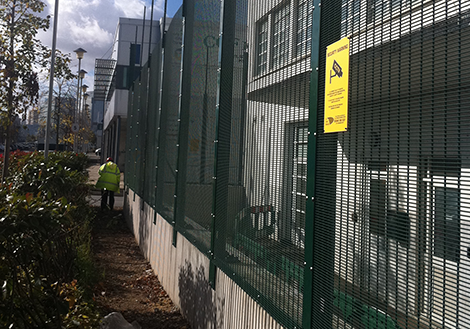 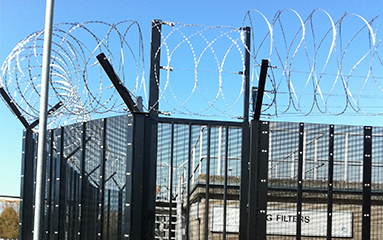 Installation of 2.4m high Perimeter Security Welded Mesh fencing. 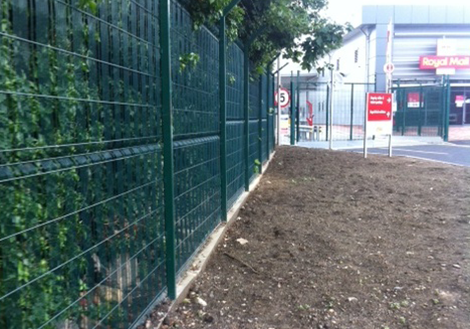 Sound Absorption fence panels installed alongside coach washing plant to reduce noise pollution. 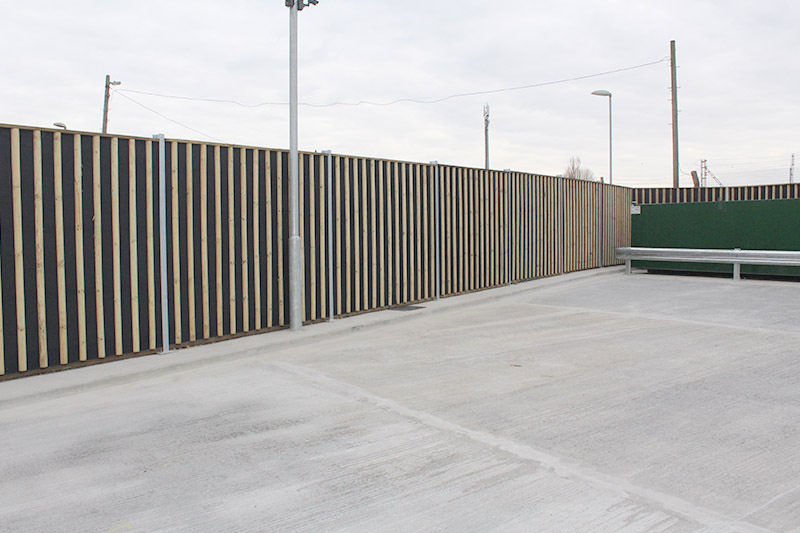 "Flexible approach to the installation programme on a very confined site. 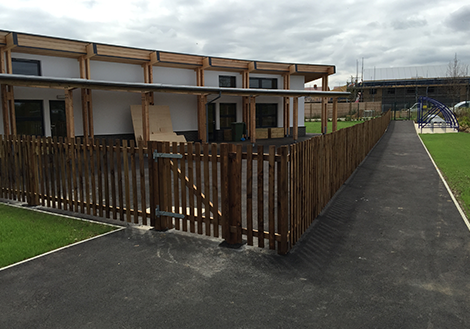 A very good performance"
"We write to thank you for your assistance on this Morgan Sindall project which has delighted our client and achieved our target of Perfect Delivery..."
"I am delighted to inform you that the following project Colchester St James Primary School has been signed off by all involved parties against the five customer commitments and it has achieved Perfect Delivery..."
The school was built by Mansell Construction. 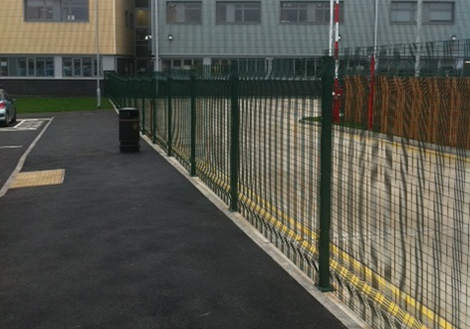 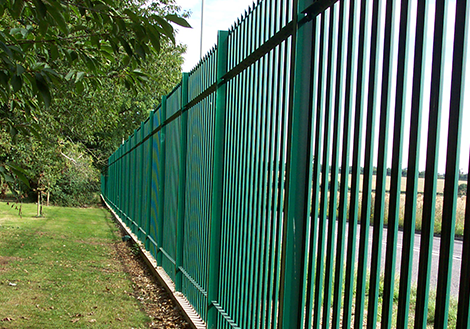 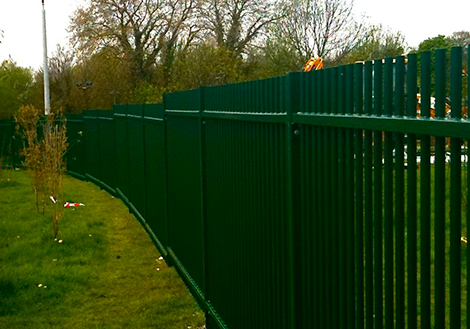 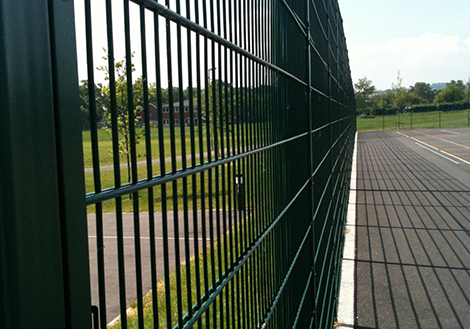 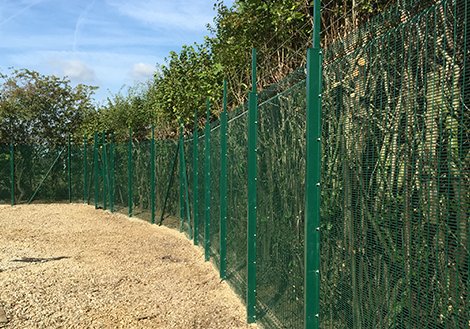 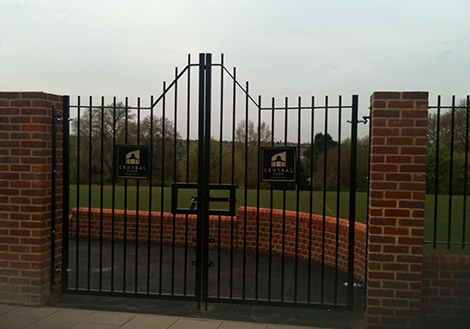 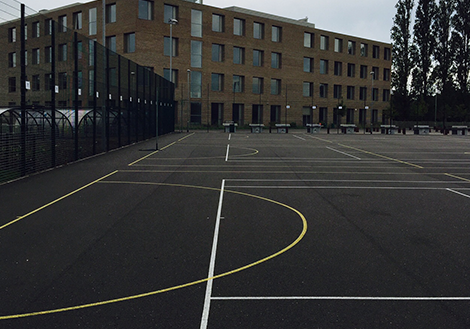 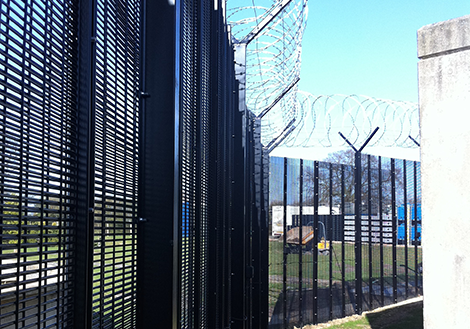 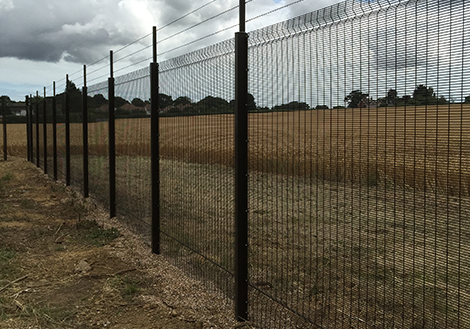 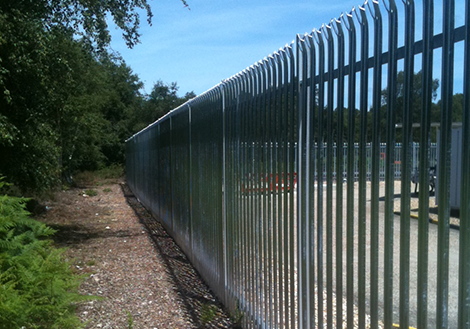 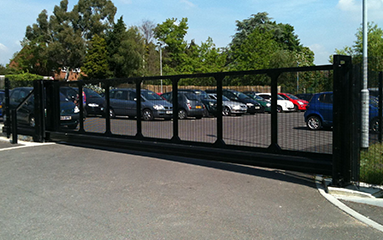 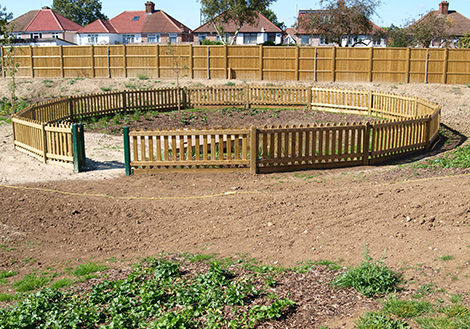 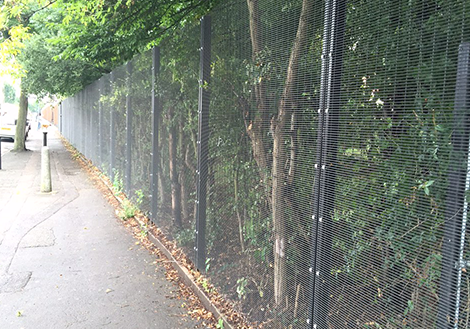 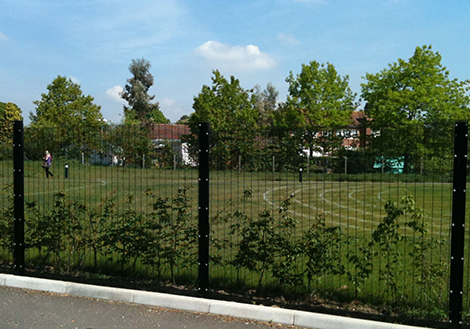 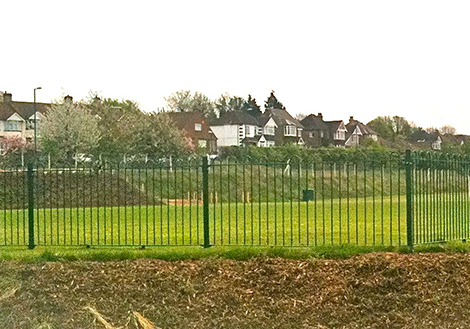 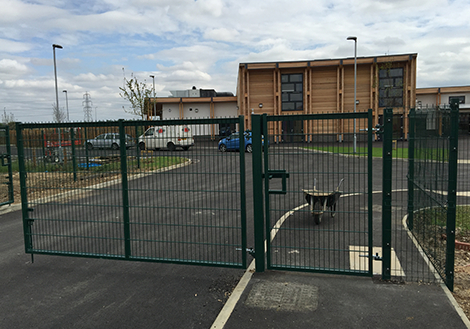 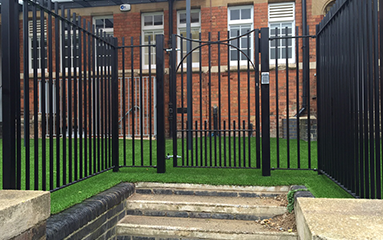 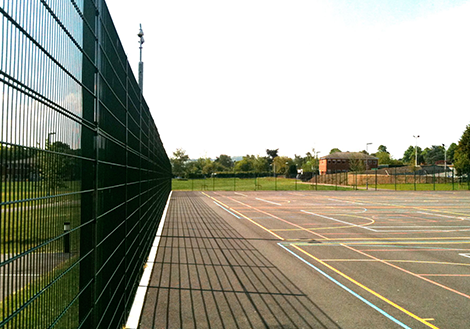 Pembury Fencing Ltd were involved in the early stages installing perimeter fencing around the school boundary. 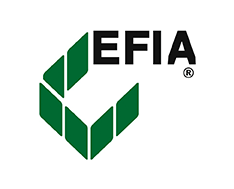 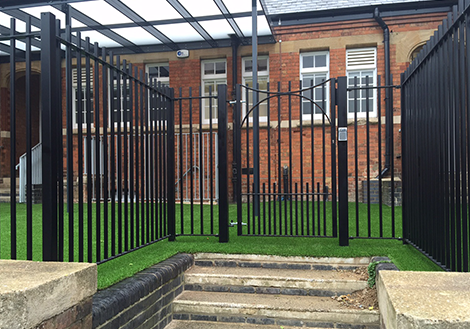 We worked with the Main Contractor and the client and installed a number of fencing and balustrade specifications including picket fencing, screen fencing, gates and fully automated entrance gates. 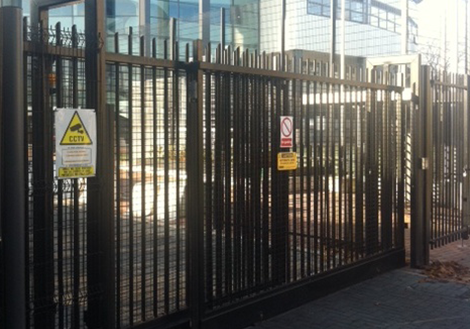 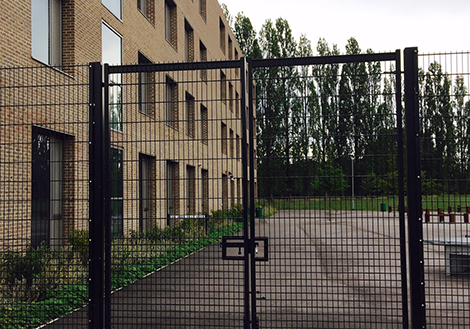 This recently completed project involved the installation of approximately 220m security mesh together with various gates. 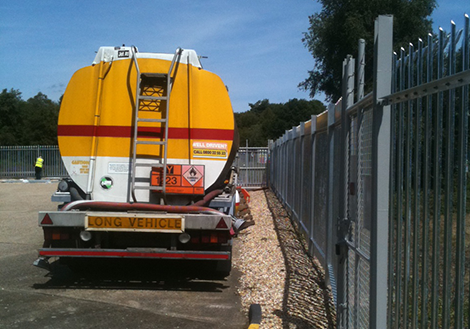 We were commissioned directly by Shell to upgrade the security around a fuel station at Bournemouth Airport. 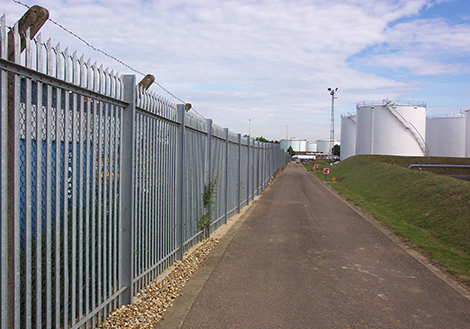 Shell have a specific type of fence they prefer. 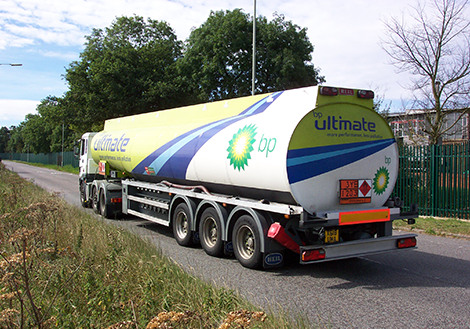 Due to the presence of aviation fuel, Health and Safety Procedures are strictly observed. 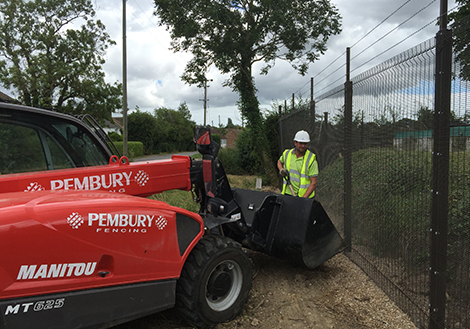 Pembury are experienced contractors in this field having worked in the petrol chemical industry on many sites. 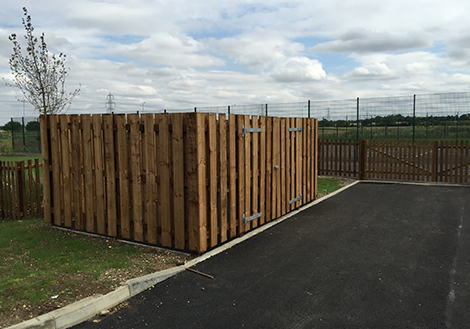 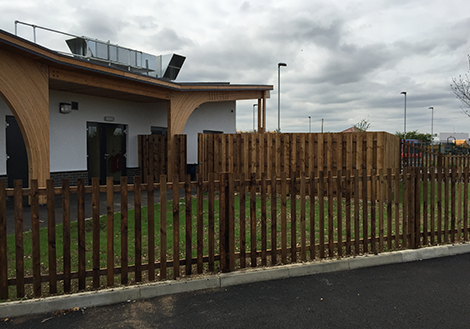 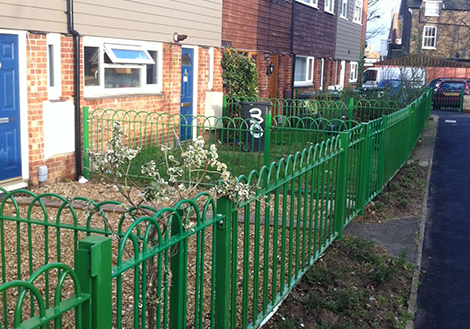 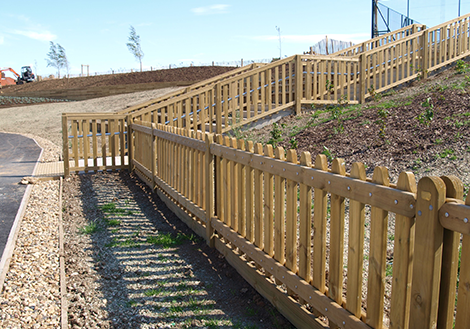 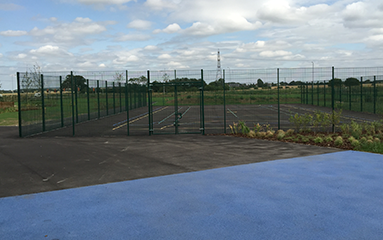 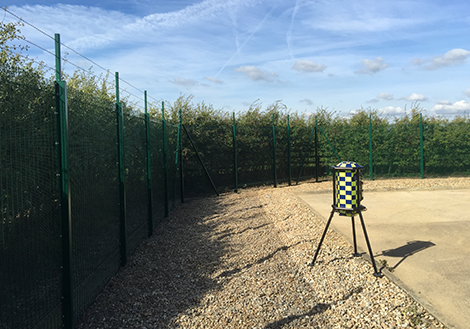 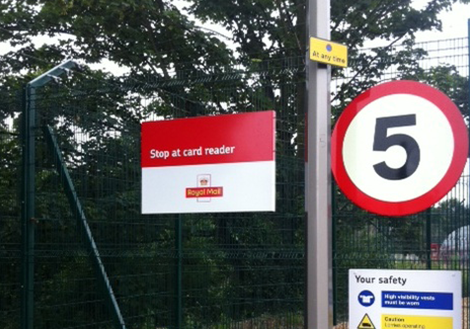 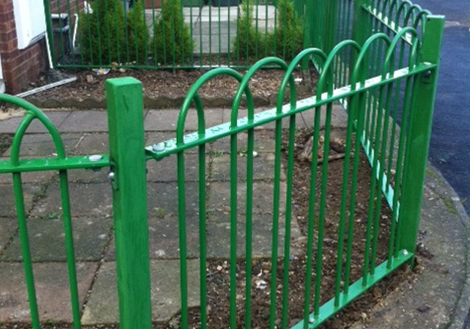 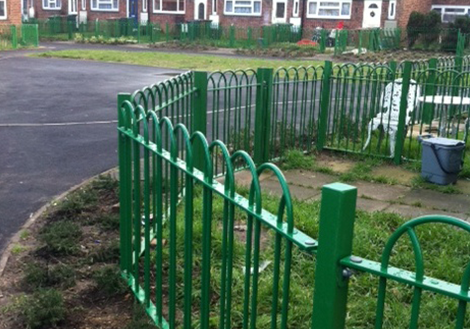 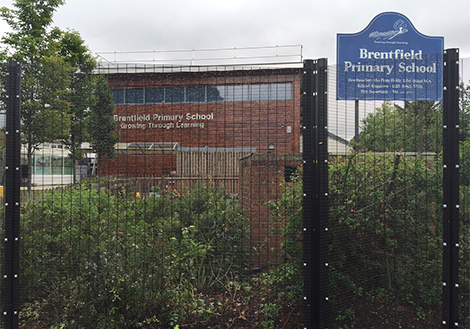 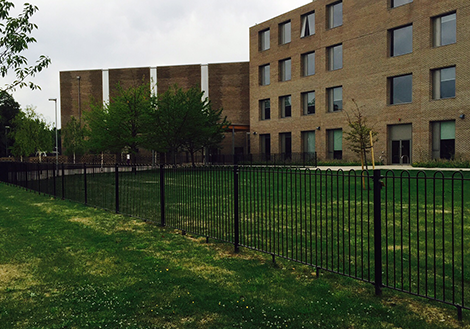 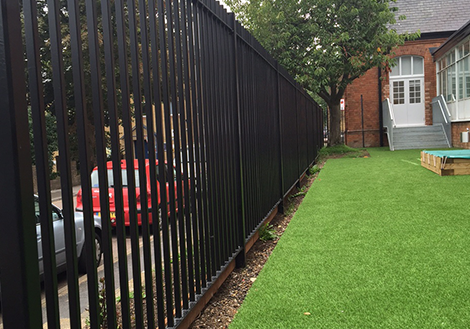 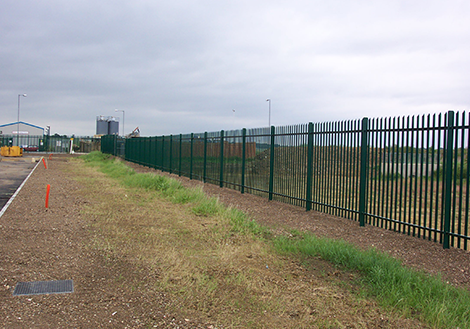 The new fencing in the photographs was installed whilst the site remained secured at all times. 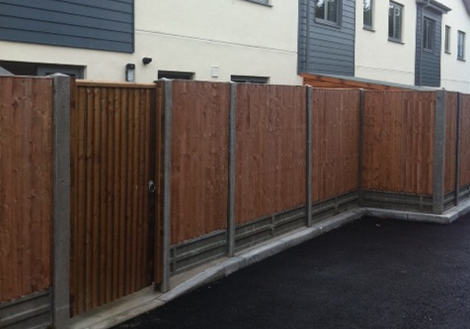 We completed this project on behalf of a housing society in Peterborough. 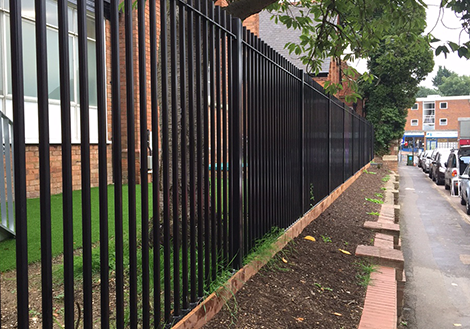 The client required the old existing timber fencing and vegetation removed and replaced with a good quality interlaced bow top fence. 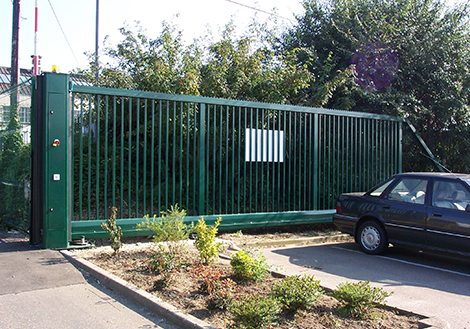 Each garden required a self-closing single gate. 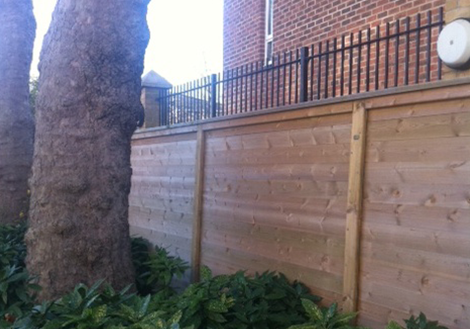 The client specifically wanted each garden to be surveyed and panels made to specific sizes to avoid cutting down full panels. 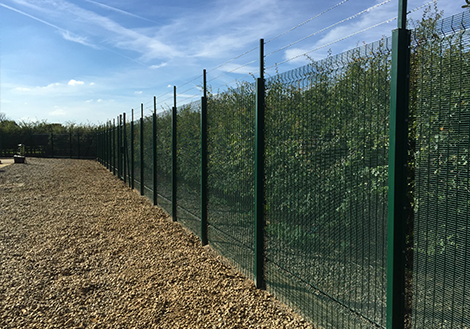 The finished fencing certainly is robust, aesthetically a huge improvement and generally an improvement to the local environment. 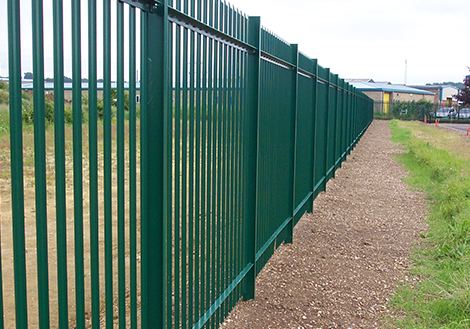 This type of fencing will greatly reduce the long term maintenance costs the Society will incur. 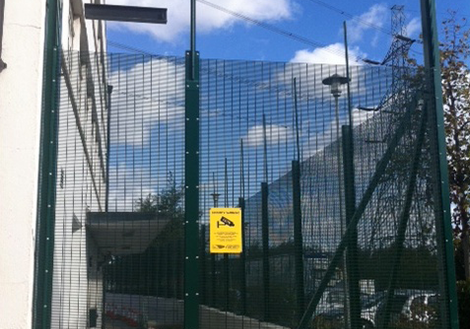 The access control system required a twin control panel set at heights suitable for all vehicles. 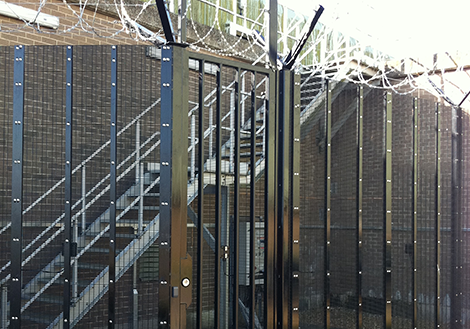 The system incorporates remote entry via key fob plus intercom, proximity card and keypad entry systems. 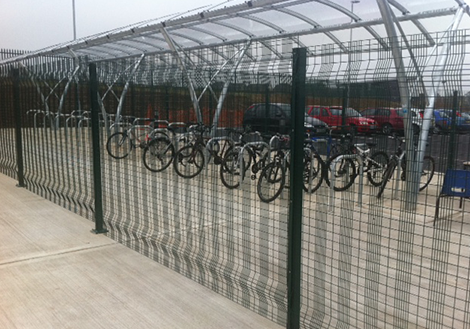 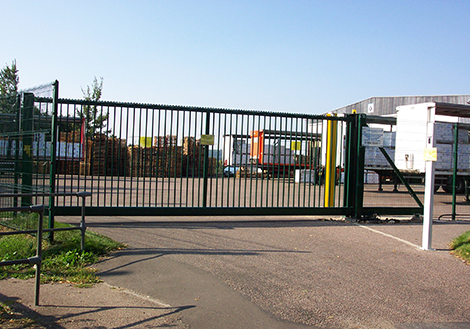 The gate and the automation equipment were all designed to deal with a heavy duty cycle. 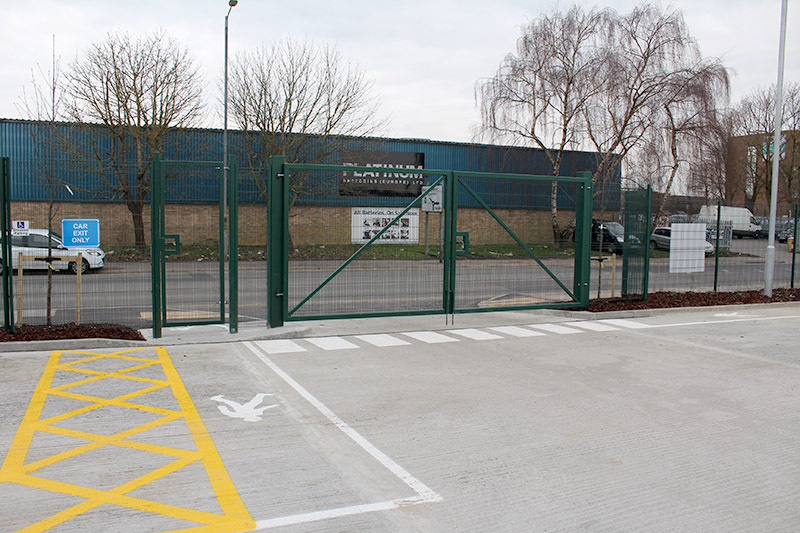 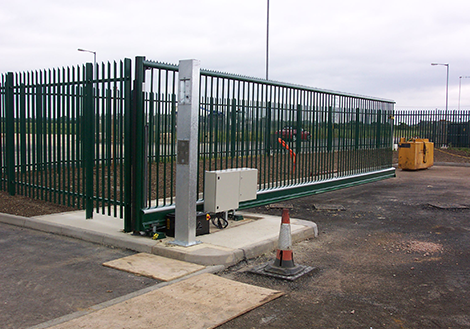 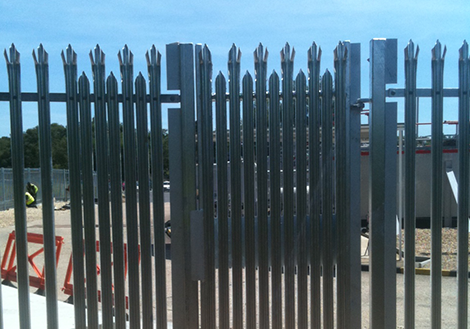 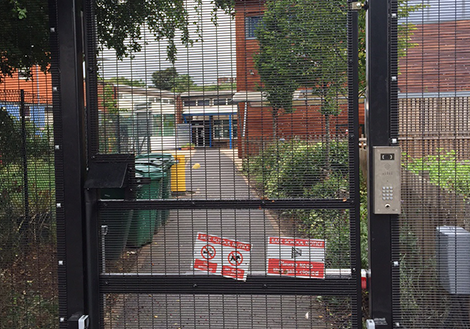 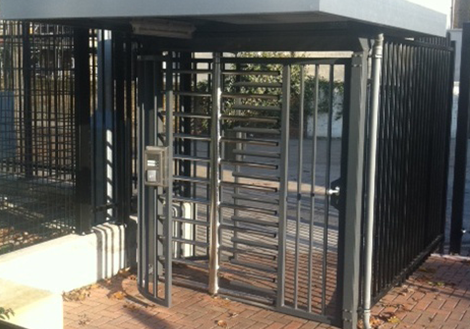 An important issue was the Safety aspect of the gate and therefore the gate was commissioned with safety beams, pressure sensors on all leading edges and induction loops.